The triumvirate, to the amazement of the scholastic world, commanded mastery of a wide range of subjects, including politics, economics, history, geography, medicine, a variety of languages (notably Arabic), Islamic sciences (in which they seem to have excelled most), and sociology. After more than twenty years of teaching and preaching, Usman Dan Folio launched his jihad in the early years of the century; aimed at establishing an ideal Islamic state. By the time of the outbreak of the jihad, Usman Dan Folio had already reached a retiring age. 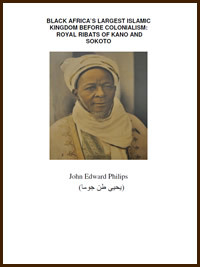 It was therefore the lot of Muhammad Bello, to attempt to translate into reality the ideals which the triumvirate cherished. An accomplished administrator, an astute politician, a great scholar, an able general, Muhammad Bello expended considerable amount of time and energy in his bid to accomplish his onerous task. In assessing the diverse activities which he initiated and implemented, it is difficult to avoid being highly impressed by his achievements, especially if one takes into account the myriads of problems which he faced. Malam. . . Abdullahi Mahadi Director, Arewa House Kaduna, Nigeria.